Slab Milling Cutters Are Used for scalping copper and brass strips, these cutters are manufactured under the supervision of qualified professionals using the best quality metal. The cutters we offer are acknowledged for their accurate dimension, fine finishing and corrosion resistance. 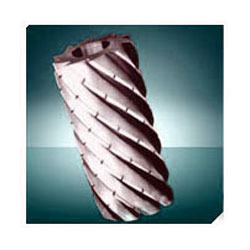 Outer diameter: 2" to 10"
Length from: 3" to 24"
Our organization is instrumental in the manufacturing, supplying, distributing, wholesaling and exporting of superlative quality Scalping Cutters. Used for scalping copper and brass strips, these cutters are manufactured under the supervision of qualified professionals using the best quality metal. The cutters we offer are acknowledged for their accurate dimension, fine finishing and corrosion resistance. Used for scalping copper and brass strips. 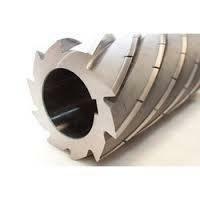 We are engaged in manufacturing, supplying, wholesaling and exporting premium quality Scalping Cylindrical Cutters. Manufactured in accordance with industry set norms and parameters using best quality metals and cutting-edge technology, these are highly demanded cutters. To ensure excellent quality, offered cutters undergo several quality checks by the quality controllers. Outer diameter ranging from: 2" to 10"
These Scalping Cutters operates on horizontal or universal milling machines. 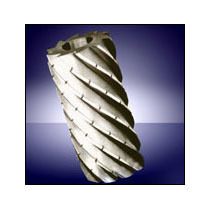 These cutters can machine large broad surfaces quickly. Our Scalping Cutters are used in slab milling, which may have straight or helical teeth, for producing orthogonal or oblique cutting action. We specialize in manufacturing 2″ dia to 12″ dia & length from 3″ to 25″ in light & heavy duty metals. 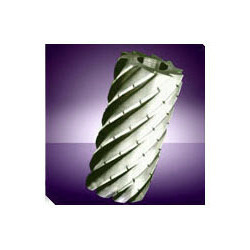 These cutters are mainly used for scalping copper & brass strip.